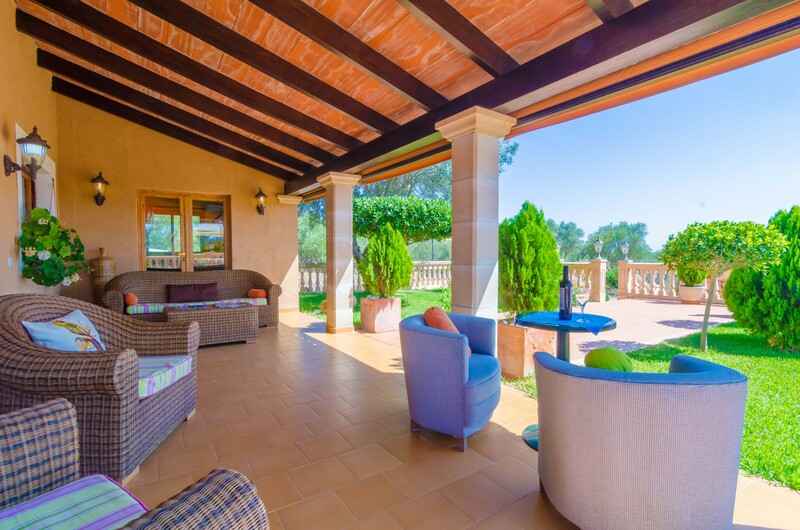 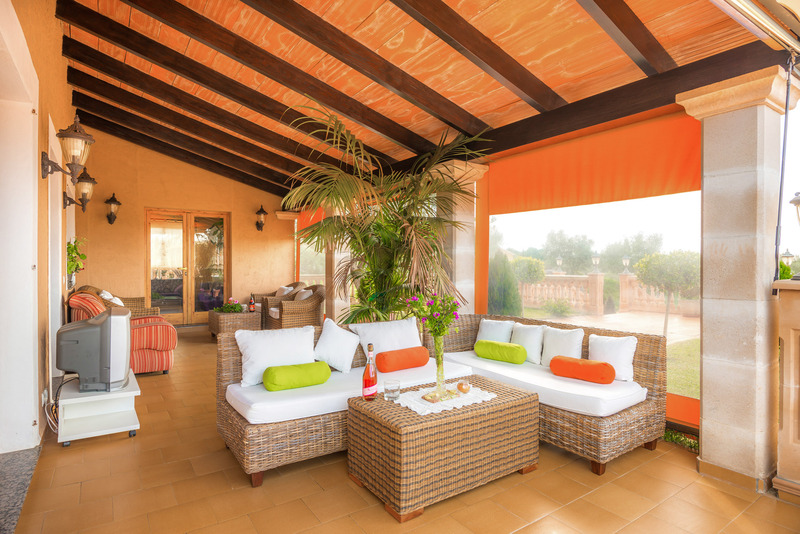 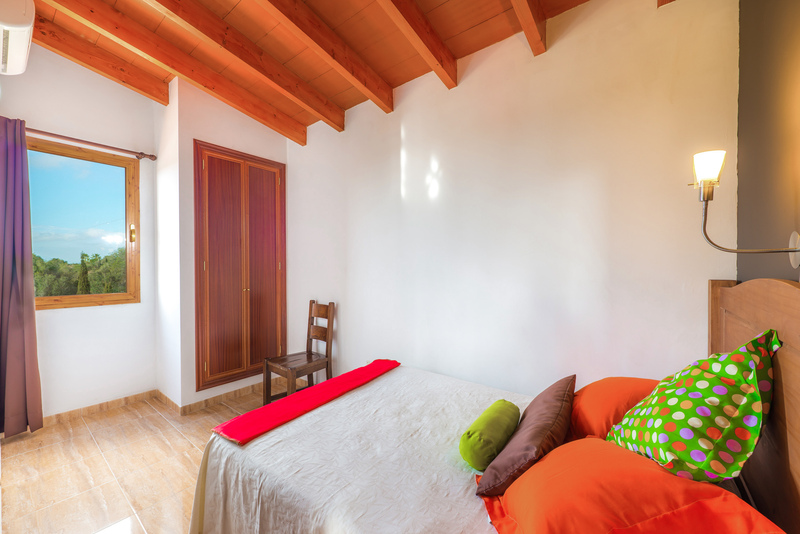 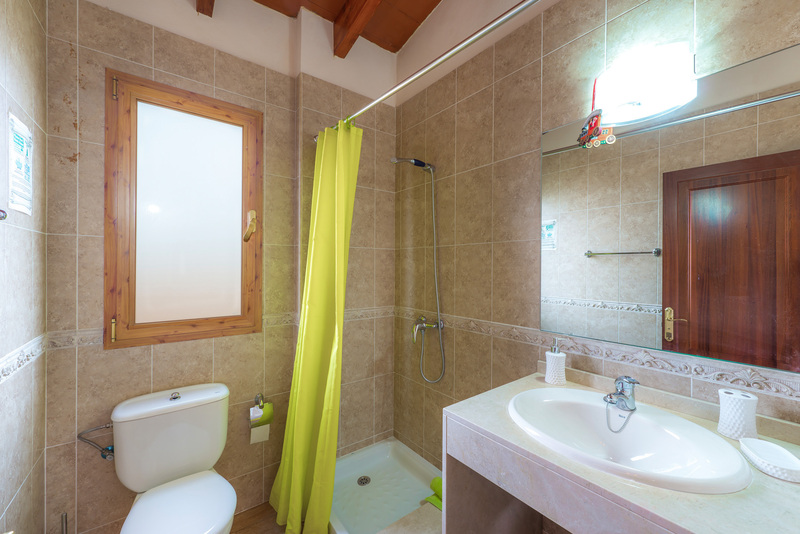 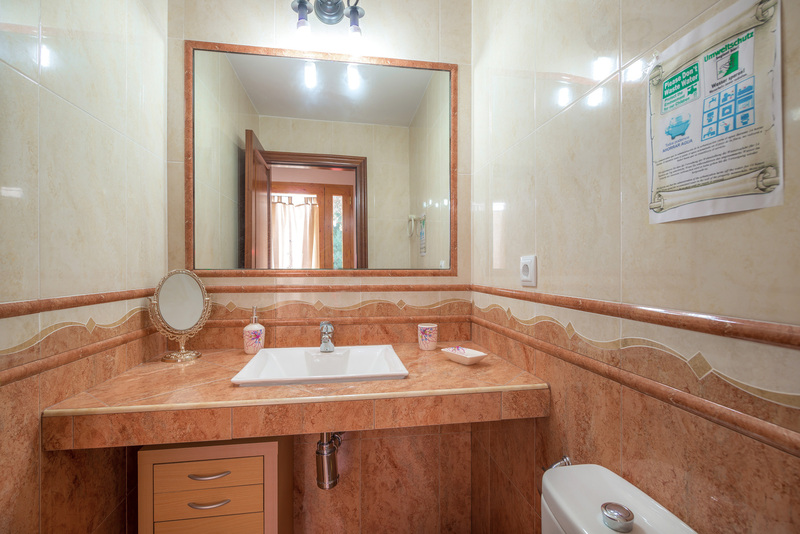 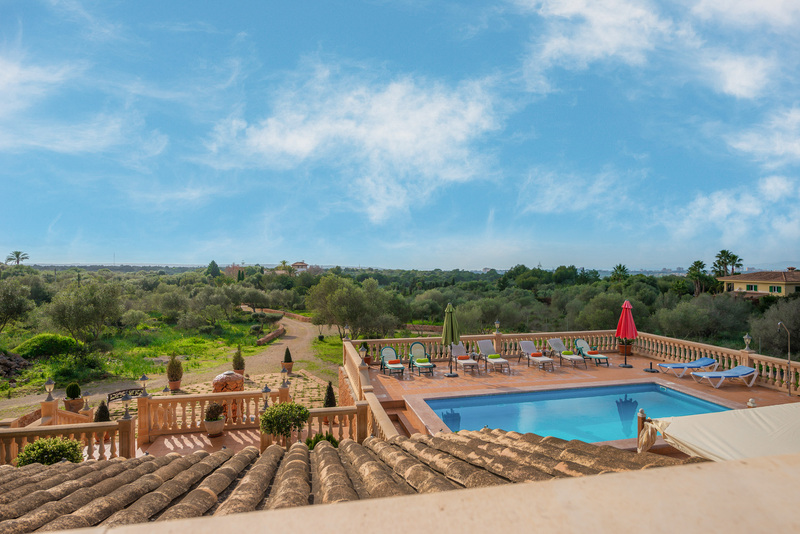 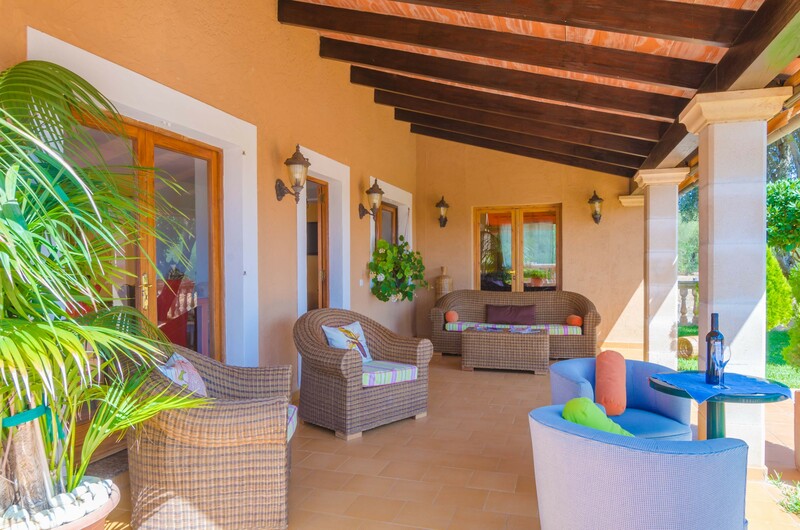 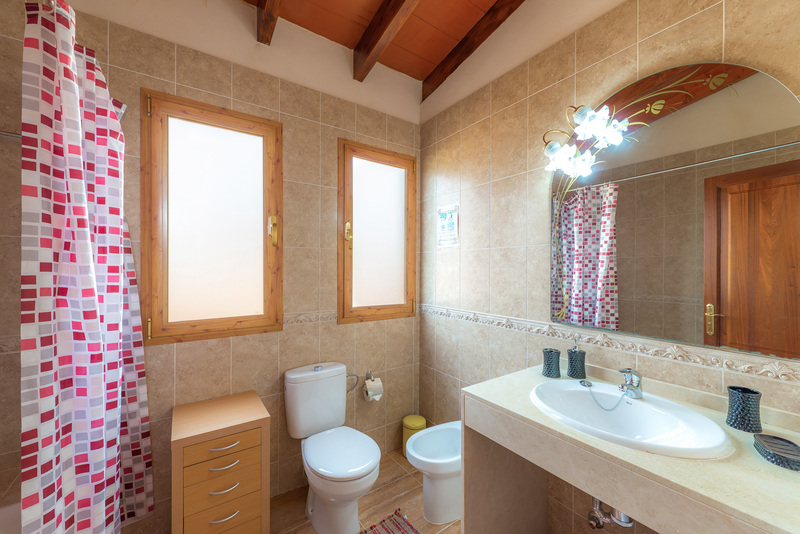 The villa has 5 bedrooms: on the first floor there are 4 bedrooms with double bed and on the ground floor you will find one bedroom with double bed and en suite bathroom. 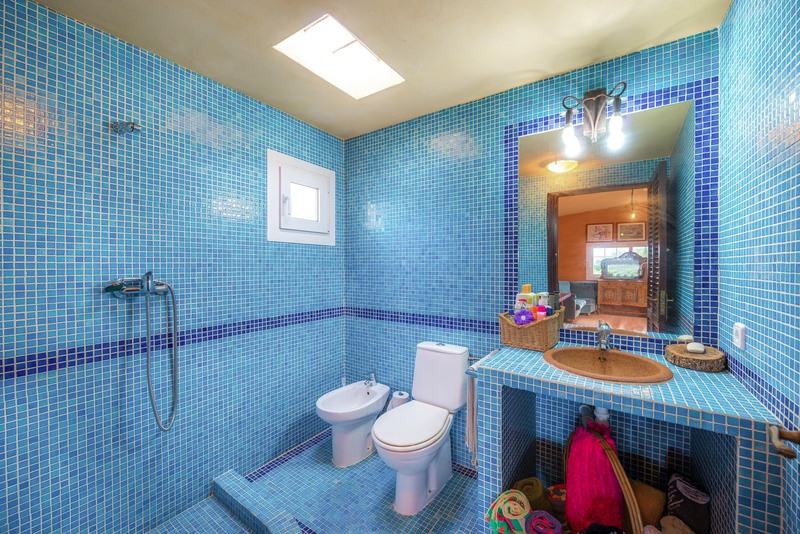 The house has two more bathrooms upstairs and a toilet. 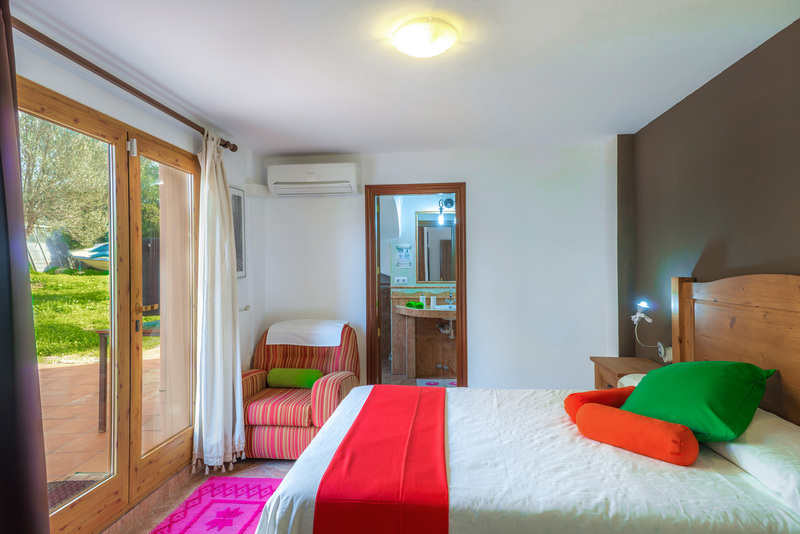 All bedrooms have warm/cold AC and an electric radiator. 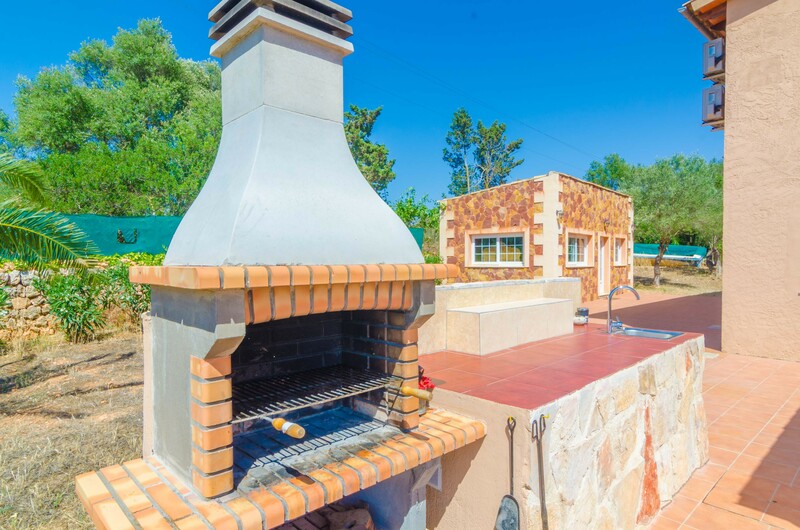 The house has two living rooms where you will be able to relax on the comfy sofas, watch satellite TV, surf the internet or sit in front of the fire place during the coldest months. 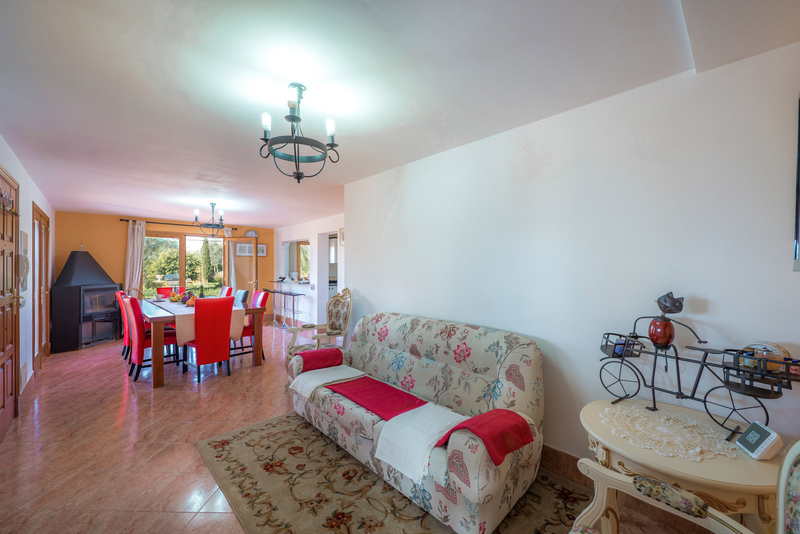 The dining room is furnished with a big table so you can organize a meal with your family and friends. 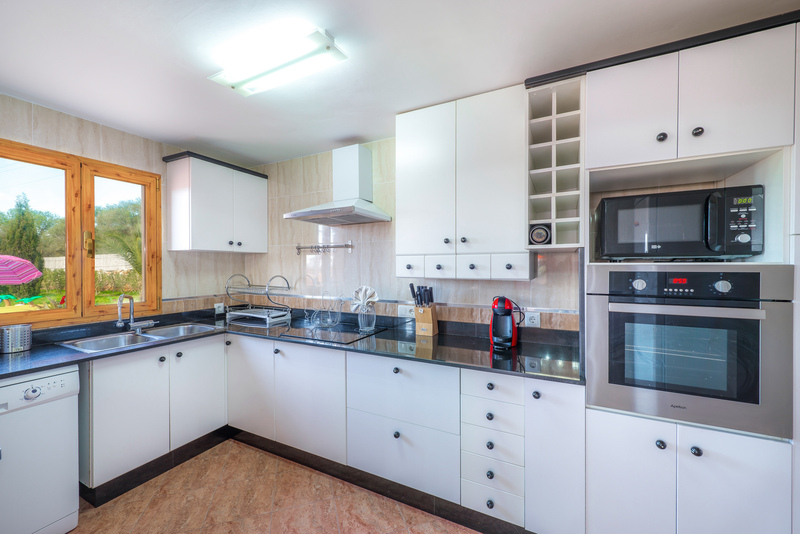 The kitchen is equipped with: blender, coffee machine, toaster, dishwasher, vitro, oven and a lot more. 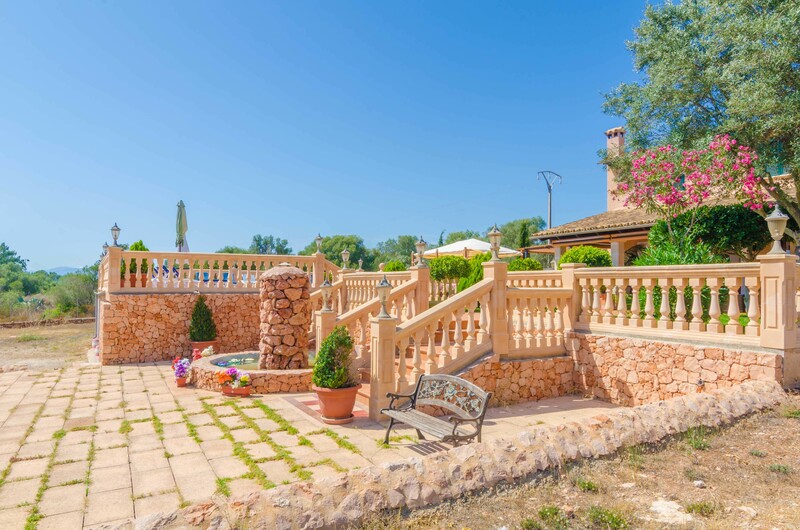 The exteriors are fantastic: swim in the 8 x 4 meters pool, sunbathe, have breakfast under the furnished porch, relax in the chill out area or have a BBQ! 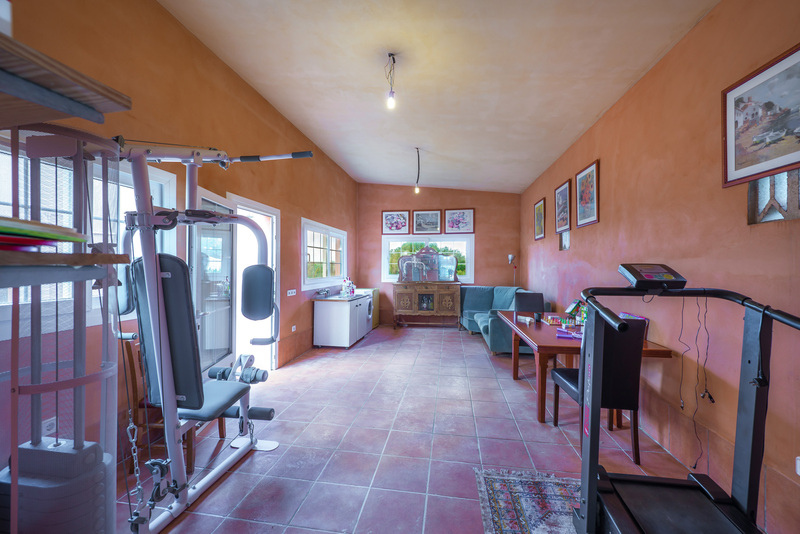 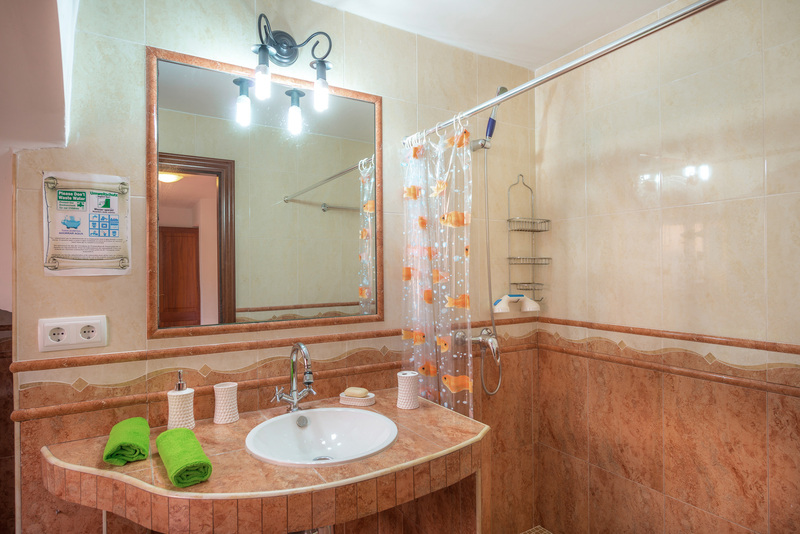 There is a big room where you will find gym machines, table games, the laundry area and a bathroom. 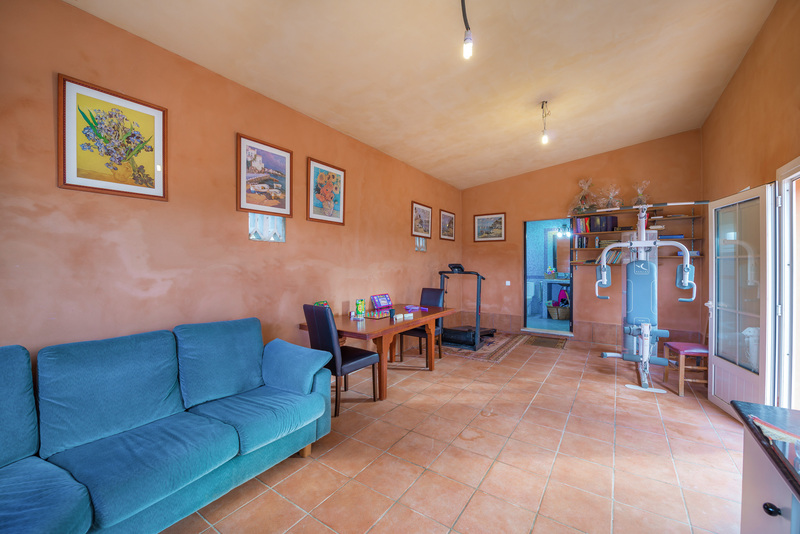 There is covered space to park up to 3 cars. 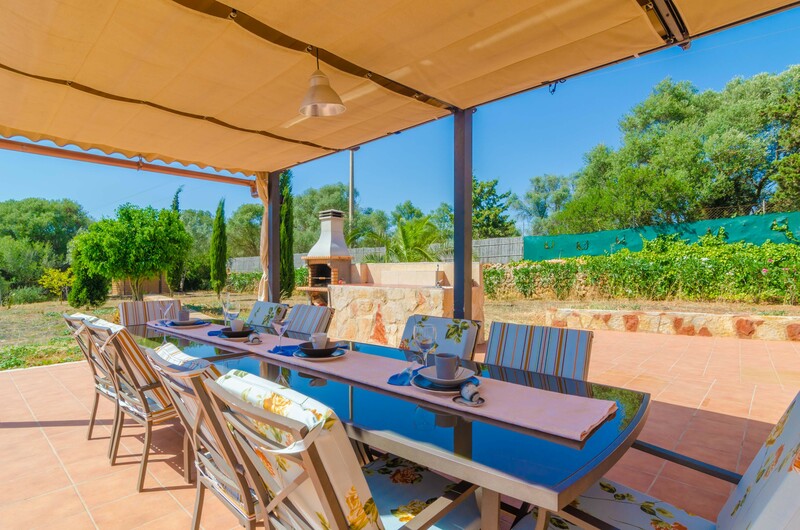 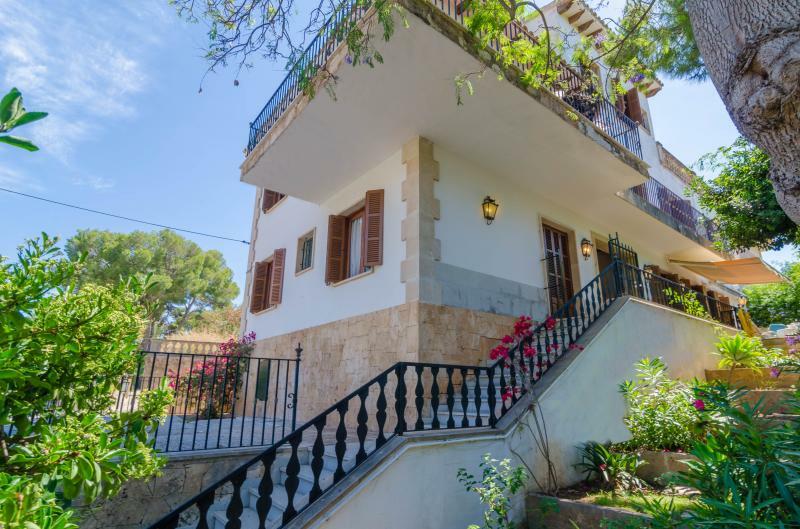 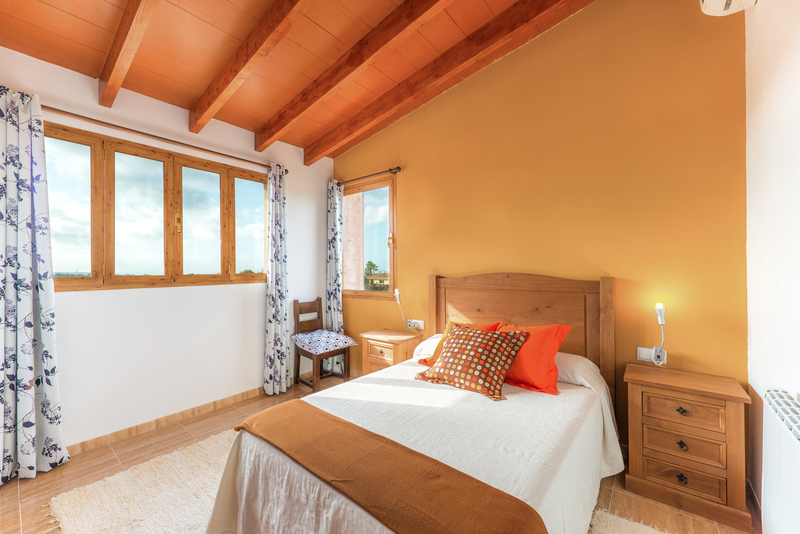 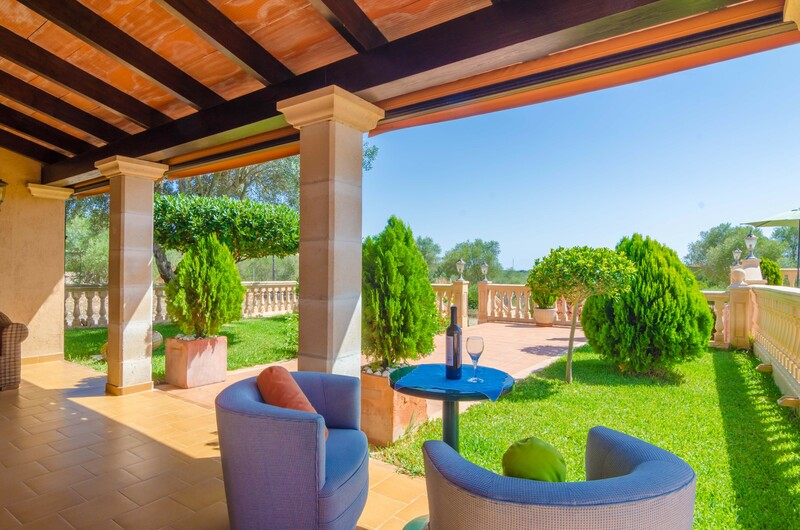 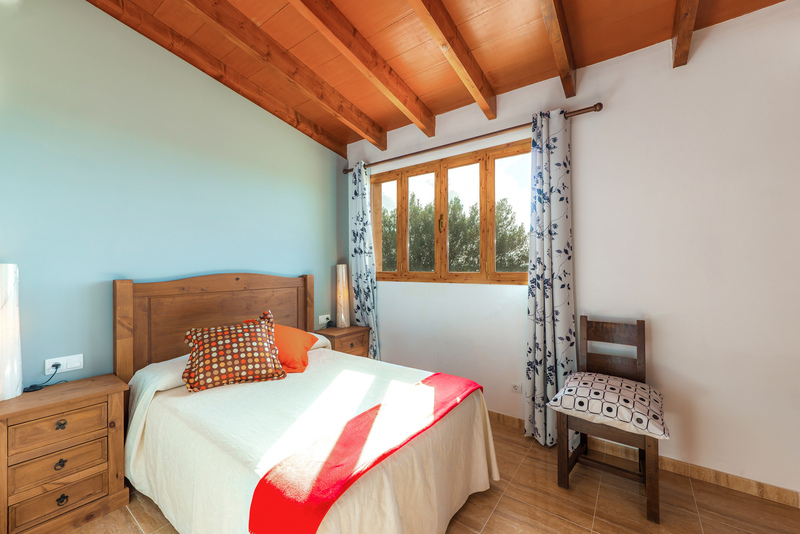 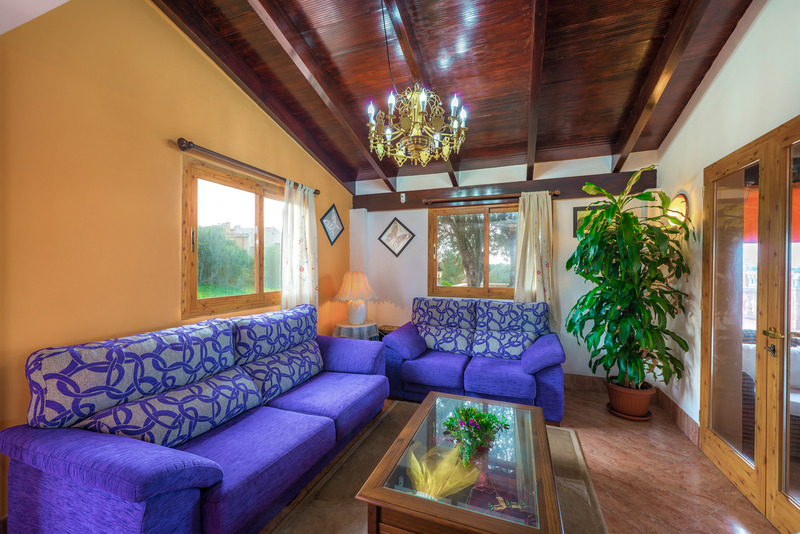 The villa is located in a little village called s’Aranjassa, in the municipality of Palma. 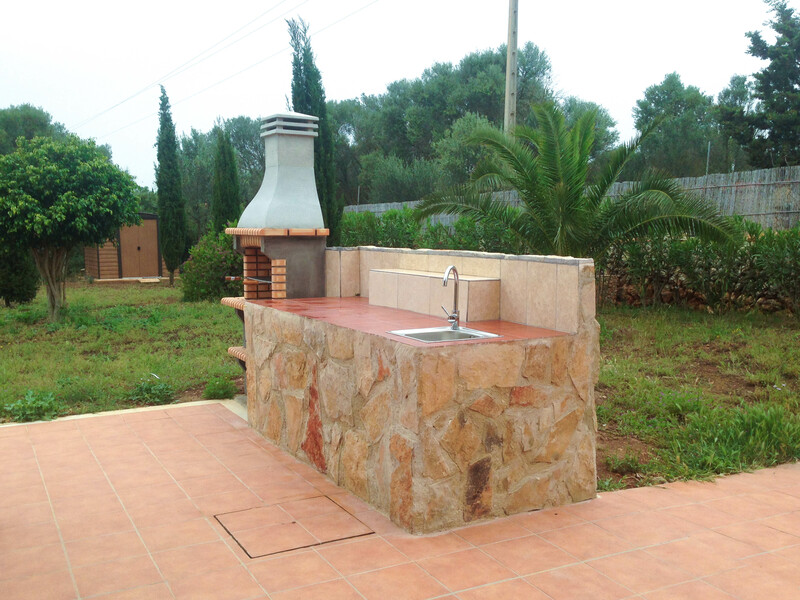 The fincas in this area have a big extension of land, so it is very quiet and rural. 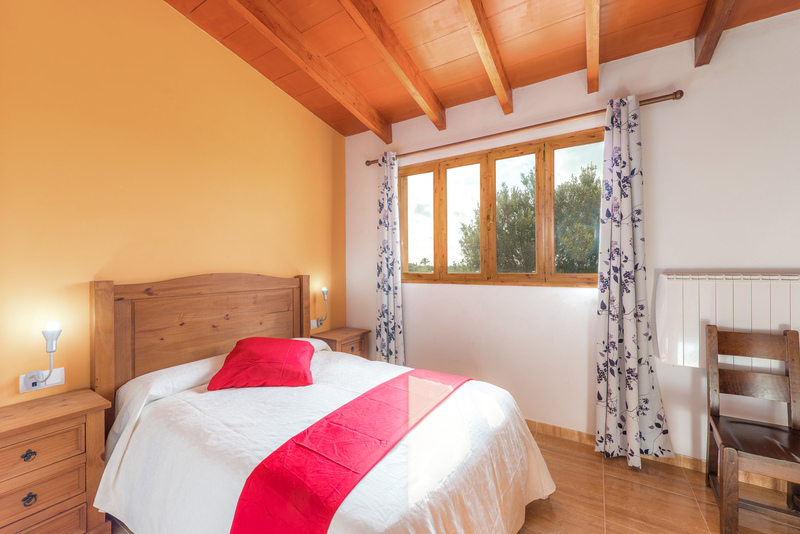 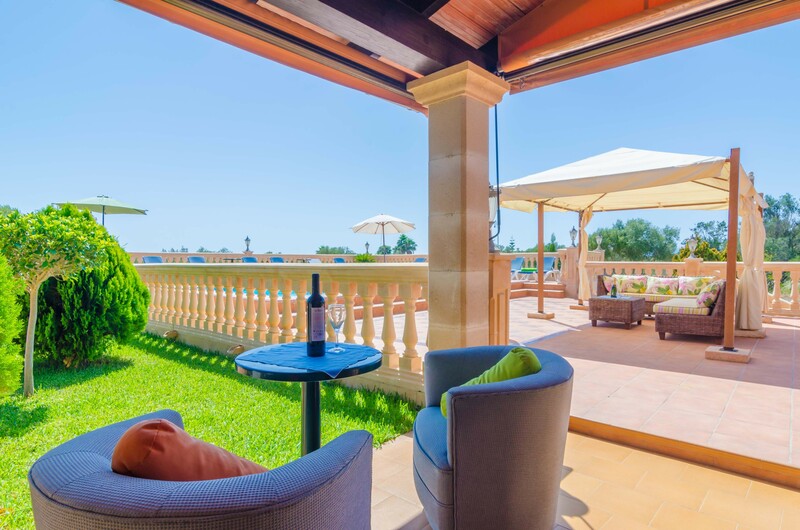 However, you will have easy access to Palma, the beautiful capital of the Balearic Islands, and Platja de s’Arenal, with many services and leisure offer.